If you want to buy a Bryan High School yearbook or sell your BHS yearbook, this is the place to do it. Just make a post below to find another person who went to school in Omaha to make the trade. I have a next to new 2013 Bryan High School Yearbook I would like to sell. Please message me for pics and information. Thanks. Simply want a yearbook for the photos, I used my other yearbooks to edit my school photos and then print them collage style, so she could have my school photos like she always wanted. Need to purchase a yearbook. I didn't get a copy of my 1988 yearbook (the year I graduated). If anyone has a copy that's intact, please let me know. I don't care if it has writing in it. Thanks. I'm just interested in how everyone I went to school with is doing now. Looking for my lost friends. 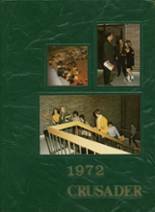 I'm looking for a 1968 yearbook because that's the last year I appeared in it.